Traumatic brain injury, or TBI, is very common. It affects all ages, doesn’t discriminate, and costs billions. The brain is about 3 pounds of soft jello-like material that is easily damaged from falls (from horses, ladders, etc. ), car accidents, violent crime, sports injuries (football, soccer, water-skiing, etc. ), war trauma (blast injury, bullets, shrapnel, etc. ), domestic violence, and more. 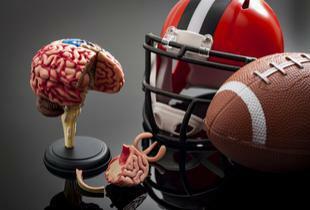 Even brief concussions are not as benign as previously thought. Physical therapies are the usual treatments that are offered after a TBI, but other than helping a patient to re-learn lost skills, they do nothing directly to help the brain heal. 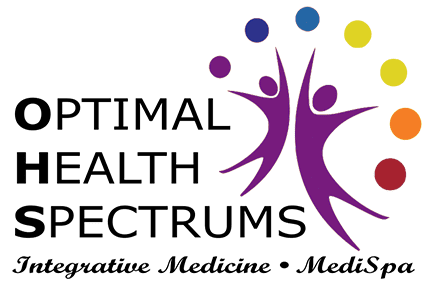 Unfortunately, there are few doctors that are trained on how to help the brain recover after an injury, but the practitioners at Optimal Health Spectrums have specialized training on how to help heal the effects of traumatic brain injury acutely, and even years later. After an injury, it is important to provide the brain with the proper nutrients that it needs to heal. Antioxidants, amino acids, certain oils, mitochondrial enhancers, and special vitamins and minerals, can all be used to give the brain an optimal environment for healing. Neurons in the brain – like any other part of the body – need the proper building blocks to recover. At Optimal Health Spectrums, we know which nutrients you need to make your brain function at its best. Around 80% of TBI is mild TBI, and most doctors and patients have mistakenly assumed that after the acute injury is healed, they are fine as long as there are no obvious neurologic symptoms. But just because you may be able to walk and talk after a TBI doesn’t mean that you are OK. New evidence is showing that chronic, long-term effects such as cognitive difficulties, irritability, insomnia, and mood and behavior disorders can happen after a TBI – sometimes even months or years after the initial injury. Some of these long-term effects are due to the fact that the master hormone glands of the body are located in the brain. The hypothalamus and pituitary glands in the brain control all of our hormone production, and hormones are critically important for how our brains work, and how we function and feel day-to-day. Fatigue, depression, loss of emotional control, anger outbursts, loss of sexual function, and many more symptoms can develop after a TBI due to these secondary hormonal effects. There are many critical hormones that can be affected by a TBI. Testing for these hormones, and replenishing all the ones that are low, is a critical step in TBI recovery. After replacing all the hormones back to normal levels, most patients report better memory and cognitive function, improved mood, feeling much more like themselves, and functioning better than they have in years. At Optimal Health Spectrums, we know how to test for these critical hormone deficiencies, and how to replace them to the proper levels. This can improve a patient’s quality of life immensely. After the proper nutrients and hormones have been replaced and the brain is healing, additional direct brain therapies can be very helpful. Research has shown that HBOT, or Hyperbaric Oxygen Therapy, pushes critical oxygen directly into damaged and inflamed brain neurons, which helps them to recover function. HBOT has helped patients recover neurologic function acutely after an injury, and sometimes even years later. Hyperbaric oxygen treatments in our clinic could be a very helpful part of your TBI recovery. 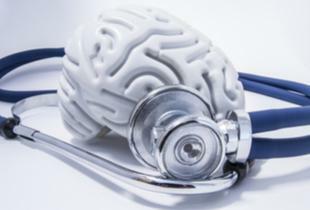 Overall, there is a great hope for improvement in patients with brain injury. TBI patients need a comprehensive treatment program, and the treatments and services offered at Optimal Health Spectrums can help you get your life back.